Art and Photography : All Art & Photography SWiSH Templates are designed with photographers, art dealers, galleries, and artist portfolios in mind. 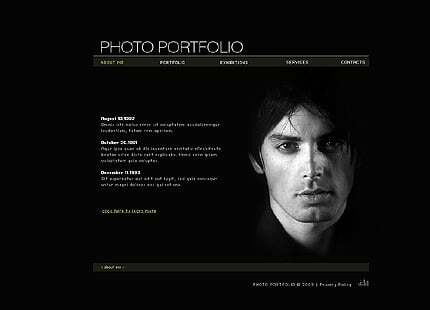 If you are an artist or a photographer, template 24578 will help represent you artistically! 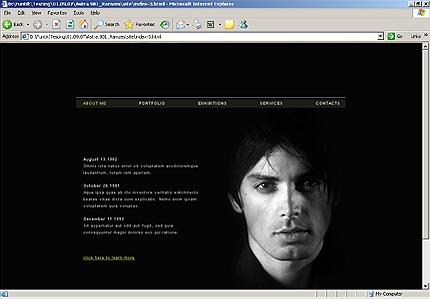 Dynamic Swish: Template 24578 is developed using the SWiSH technology. Dynamic SWiSH gives you the ability to edit content (texts) with any text editor without manipulating or having to alter the design. Bonus with every purchase With each template purchase you get Free Web Design Elements: photos, fonts, icons, 3d models, sounds. Buy template 24578 from zeronese today and get access to the Free Clipart & Free Web Design Elements library.